Join us on an epic trekking adventure as we start our Saturday Hash Day adventure at Pura Desa Sobangan. Immerse yourself in the colors and sounds of a traditional Hare and Hounds adventure through the amazing Balinese countryside. Come and wander through lush rice fields and valleys, challenge yourself through the ups and downs of our trail and find yourself immersed in the most beautiful and amazing natural surroundings that can only be found here on the Island of the Gods in Bali. When you’re finished with this epic trek, you will dine on local delicacies, washed down with a pint or two of local Bintang ale with our Hare Mr. TinTin Balls who is also celebrating his 50th birthday run. Receive your very own souvenir Bali Hash 2 glass as a token of remembrance to take home and amaze your friends with. Join us and lose yourself in the wilds of Bali as we walk and run to find and chase the paper trail before you finish your adventure of the day in our lively circle where you will make new friends and enjoy everything that Bali Hash House Harriers 2 has to offer! There’s an awful lot to do in paradise and it’s not all about the beaches, come join us at Bali Hash 2 for the experience of a lifetime. 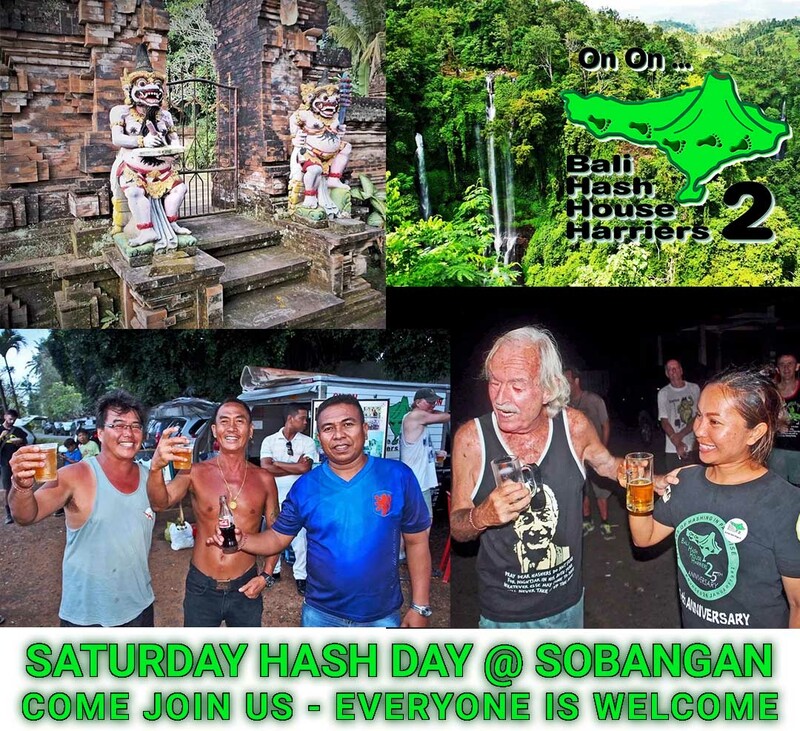 On On to Sobangan with Bali Hash 2!